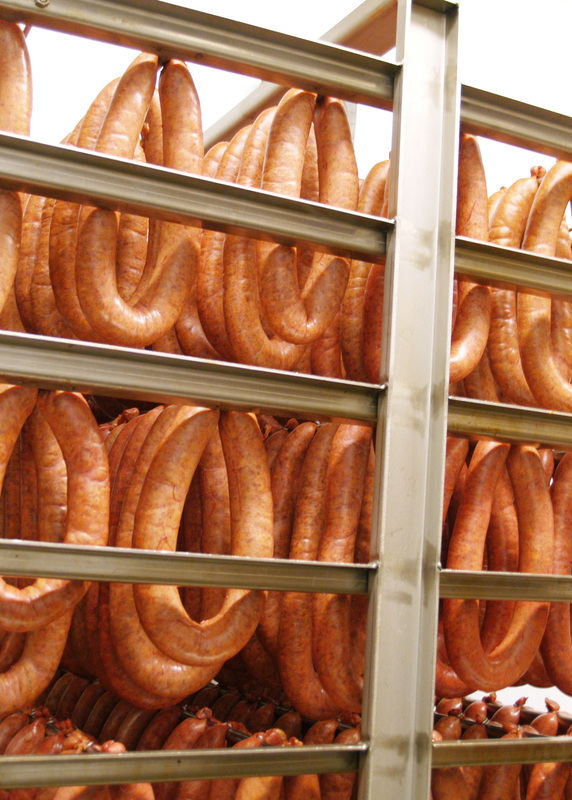 Have you ever looked at a hot dog or a piece of bologna and wondered what is in processed meat? This is a question we should all ask but don’t want to know however ignorance is not bliss. What I don’t know wont hurt me is a huge lie and so is the idea of “if it taste good it must be fine”. We consume a huge amount of processed meat in America and we should take a look at what we are really eating. I am going to give you a brief list of ingredients to think about and I wont go into a lot of details about what each ingredient is but I can point you to resources that can. Meat This is a good thing right? Well do you think a meat processor is going to use their best meat to grind up for salami? Will they turn a $20 steak into a $5 dollar pack of hot dogs? 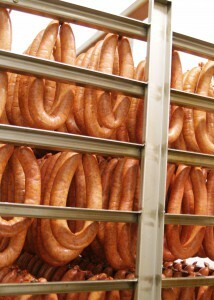 The fact is most of the meat going into processed meat is low quality and in many cases even putrid. Artificial flavors and colors Because of the use of poor quality meat they have to put flavorings and coloring in to hide the problem. Preservatives The biggest problem is nitrates that are chemicals used to cure the meat. The nitrates found in processed meats are frequently converted into nitrosamines, which are clearly associated with an increased risk of certain cancers. Meat cooked at high temperatures, as many processed meats often are, can also contain as many as 20 different kinds of heterocyclic amines, or HCAs for short. These substances are also linked to cancer. Fillers Meat is expensive and there are cheap filler substances that get used like soy which causes problems with soy allergy’s and most soy is genetically modified (GMO). By products This could be a myraid of parts and pieces of the animal or non animal that gets thrown into the pot. If it can be ground up to look like meat it may get used and it probably wont be on the label. There have been tests done that revealed pork or chicken in a hot dog but that species wasn’t even on the label, so imagine what else they could be using. Sugar This has a couple of negative side effects and the biggest issue is with high fructose corn syrup. HFC is highly processed and is made with GMO ingredients and is very hard to digest. It makes for a false sense of flavor with its sweetness that often causes us to over eat. It is understandable why we consume so much processed meats since they are so convenient with being ready to eat and unfortunately they do taste good in many cases. It is readily available in grocery stores and delis. However we need to keep in mind that we are paying a high price for this convenience with the environmental, health, economic, and social issues that go along with the making of processed meat. Change starts with each individual. The choices we make with our time, money, and resources is important. If each one of us would commit to seeking out and supporting local, sustainable, safe, healthy food we would greatly enhance our well being and the well being of the community around us. Seek out naturally raised meat sources that raise their animals on managed pastures and the animals are getting the best nutrition creation can provide. If you want to learn more about what is in processed meat go take a look at Dr. Mercola’s website and search his articles for “processed meat”. The Weston A. Price foundation is a non profit organization dedicated to teaching the facts about food nutrition and quality and has a lot of information on what food should and shouldn’t be. If you want help in searching for good quality meat check out our store to see ways you can get safe, high quality meat for your family. I hope you find this post helpful and I would like to hear your thoughts on this food matter so I would welcome any comments bellow. awesome article I was just having a discussion about this today with one of my fellow classmates. Processed meats are terrible for you just like you stated – they are low quality and unhealthy. But just like you said in the article, habits are hard to break and the only way we can solve this issue is if we make a new and improved habit. We need to take it one step at a time in the right direction! It sure is hard to break old habits especially when they are convenient habits. It is hard to eat healthy in our society today but if we make a conscience effort to seek out what is good and avoid what is harmful we will start to see change take place. It is step by step for us too and we keep on trying to improve our diet. Hi Gina, It is hard to stay away from processed meats completely especially away from home. That is why we raise as much of our meat as we can like beef and chicken so we can at least be sure of what we are eating at home. I often buy Adelle’s chicken and apple sausages that are nitrate free and lacking lots of sodium and have nothing artificial. But it says on the label ‘minimally processed.’ Can you enlighten me on what that even means? It seems that no matter what, some sort of processing has to be done to our meats unless we literally go out and slaughter an animal fresh, cut some meat off and serve at the table that night. It’s just not feasible for most of course. Where should we draw the line on what level of processing meats is acceptable for our health or not? Hi Sarah! It is good that you are thinking about what is in the meat you buy. What I mean by processed meat in this article is meat that is processed beyond its natural form with other ingredients added to it. I consider a hotdog to be processed but not a steak or roast. It looks like you are paying attention to the ingredients in the meat you buy and that is important. Things like sausage will say minimally processed because they undergo additional steps like grinding, mixing, and curing but these steps are not bad as long as they are not adding anything to the meat that may be toxic like the nitrates and artificial flavors and colors. The other issue with store bought meat is not just the ingredients but also the quality of the meat being used. Most of the meat in store bought items is commercially raised in unappropriate conditions with feed that shouldn’t be given to animals. It’s a big subject for sure so I hope this helps. All joking aside, you raise some very important points particularly when it comes to things like preservatives and fillers. And during this long holiday weekend, when I find myself eating hot dogs, admittedly it is hard to think about. Thank you for raising these important issues. Thanks for the comment Mike! If it was like what was said in the movie we would be a lot better off than the reality of what is in a lot of our food. So often we don’t think about what we are eating and we eat so much stuff that is slowly but surely harming our health. We don’t want to think about it but we must if we want to avoid the many health issues plaguing our society today. Have a great holiday weekend and go grass fed!